DVD movies to come laden with advertising? Your favourite DVD movies could soon be interspersed with advertising if IBM gets its way. That's because it's close to winning a patent that could make ads on cheap DVD movies mandatory - unless you are prepared to pay more to have the ads removed. Luckily for us, there's a fatal flaw in IBM's plan: DVDs are already cheap enough for us not to bother, and the whole system would require everyone to buy new DVD players which is something most people won't want to do. And the flaws in the system don't stop there, either. 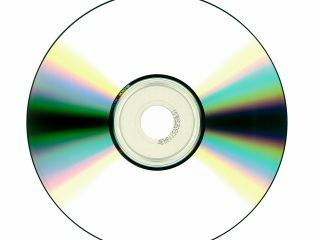 Not only would the proposed system require everyone to buy new hardware, it would also need DVD publishers to start putting ID chips on all its DVDs. According to the patent, when one of these new DVDs is put in one of the new players, the player will check the DVD's ID chip. If a 'no commercials' certificate has been purchased, no adverts would be displayed. No certificate would result in adverts being displayed during playback. You would also be able to enter an activation code using your remote in order to tell the player that you've paid for a certificate. But despite many flaws, IBM sees this advertising-on-DVD as a solid business model. It states on the patent: "DVD programs do not allow for advertising. According to the Digital Entertainment Group, DVD sales (films, television series, special interest) totalled more than $15 billion in 2004. Thus, DVDs may be a great source of advertising revenues that are not being tapped. Further, revenues from DVD advertising may contribute to the reduction in cost of the DVDs. "Thus, what is needed is a system and method of providing advertising during DVD playback." IBM does not even mention Blu-ray or HD DVD in its patent, which seems slightly ludicrous to us. Surely if people are going to have to buy a new optical disc drive, they're not going to want to buy another DVD player. They'd rather buy an HD player to go with their nice new HDTVs. And with all Toshiba HD DVD players coming with Ethernet ports, it seems like the whole thing would work better if IBM would just joined forces with Toshiba. Imagine the picture-in-picture advertising possibilities! Imagine if, when at that tense moment when Darth Vader says to Luke Skywalker,"I am your father," a box appeared in the corner of your screen with an advert saying: " Adopted? Visit www.blahblah.com to find your real parents today!" That would be an advertisers dream, but would also be seriously horrifying for most movie fans. It all seems a bit barmy, really. Even the price of Blu-ray and HD DVD movies will start getting cheap after a while, so why anyone would want advertising on their discs is beyond us.